Without a doubt, you should keep your home safe at all times, but if you’ve got a lot of work to do it can be difficult to look after your home all the time. The best you can do is to make sure that no one comes in without your knowledge. One way to make this happen is to use the right set of locks on all entryways. Make sure to choose the kind that burglars and thieves won’t manage to dismantle so easily. With so many locks to choose from, it can be difficult to decide the right one to use. Luckily, we at “Locksmith San Tan Valley” can help you select the best. We are aware of different lock types in the market and we can suggest the ones that are suitable for your home. 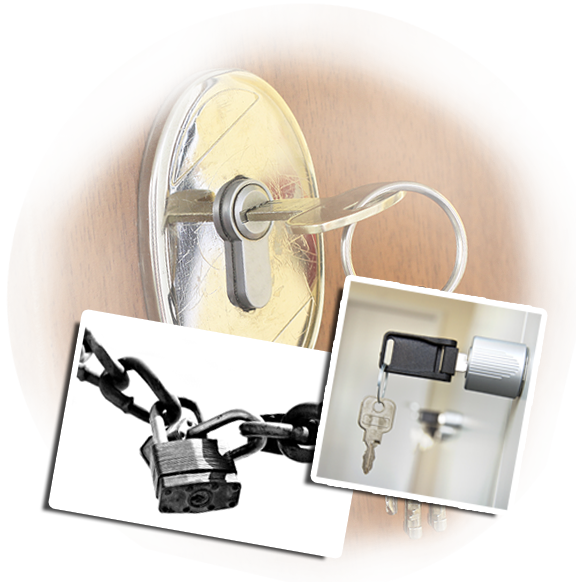 Once you have made your choice, you can also rely on us to install the lockset in your home. If you need to get your lock replaced immediately, you can get in touch with us right away and any of our professionals can come over to assess the extent of the damage and repair it or replace the lock completely. Our experts are not only trained but they also have ample experience in these matters, so you can be assured that we deliver quality service. Not only do we specialize in residential locks, we have also repaired and replaced locks for garage and car doors. We can even recommend a range of locks suitable for these types of doors. We at “Locksmith San Tan Valley” have also installed locks for large apartment complexes. We understand the importance of keeping the premises safe and secure at all times, so that burglars do not break in unexpectedly. We are also open to consultations. If you have any questions, you can contact any of our professionals to answer your queries. Alternately, if you want your locks at home to be assessed, we are open to conducting on-site analysis. If you are worried about the price, you can simply ask for a quote first before placing your order. So what are you waiting for? Do not hesitate to give us a call or send us an e-mail for assistance on your residential lock needs, repair or replacement.